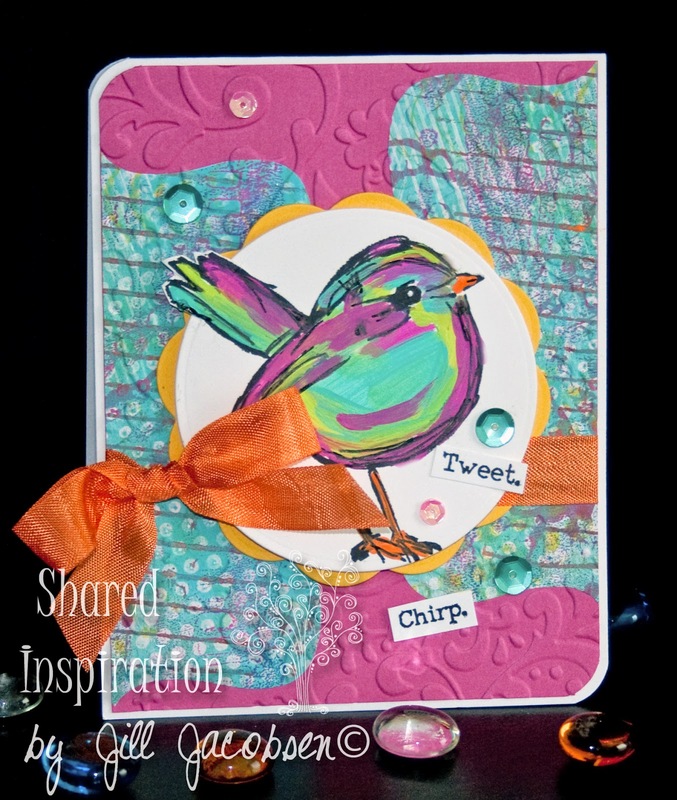 and cut it out with the Out of the Box technique with the circle Spellbinders die. 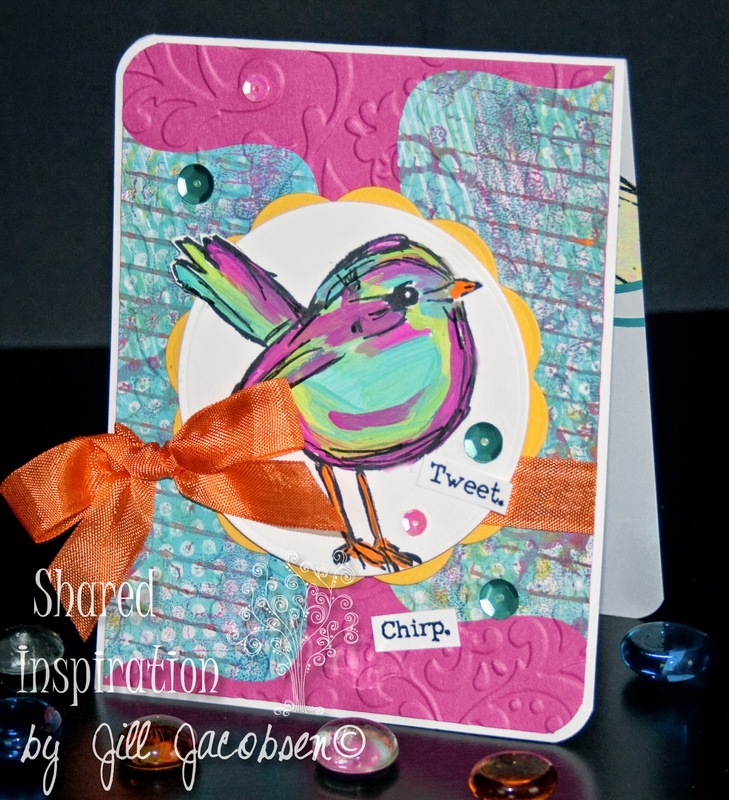 The background pieces where cut with the Stampin Up Sizzix die out of a Gelli Print and cut in half. The background was also run through a Couture embossing folder. Of course sequins were added!! I'm lovin' the bright cheerful colors!! Isn't this bird just the cutest thing you've seen today!! 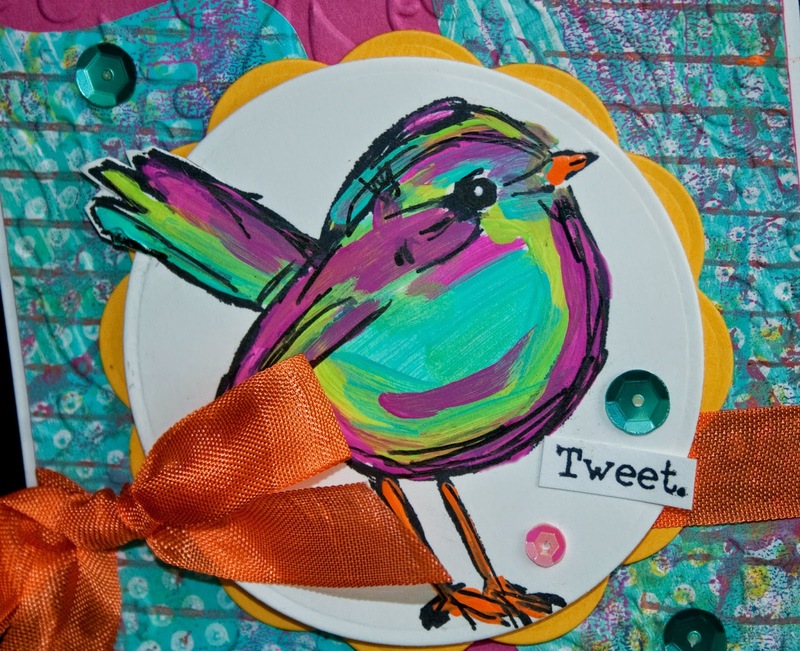 And for the inside I stamped one of the other birds on a scrap piece of Gelli print on deli paper and glued him down. 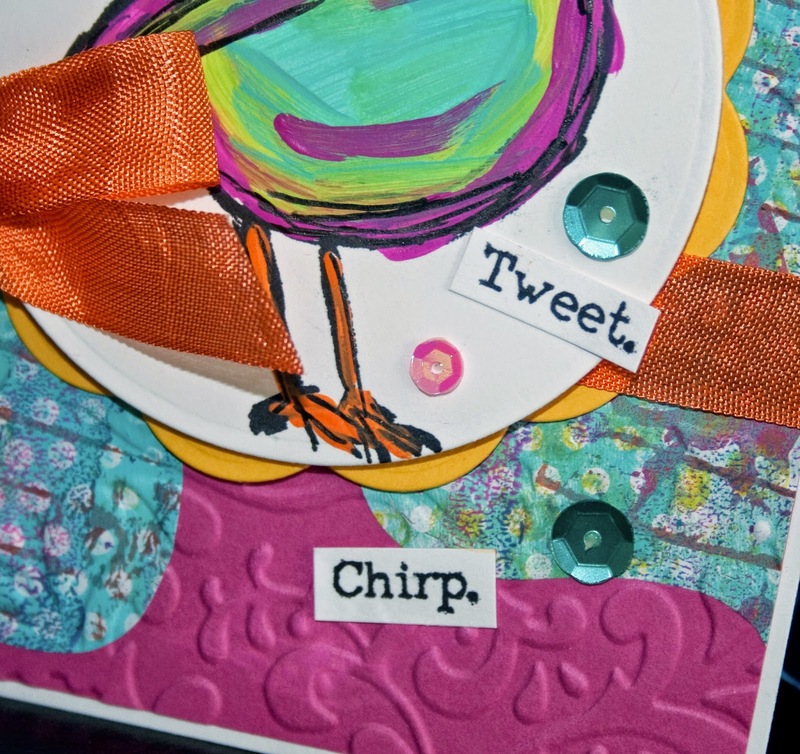 The sentiment is in the stamp set. 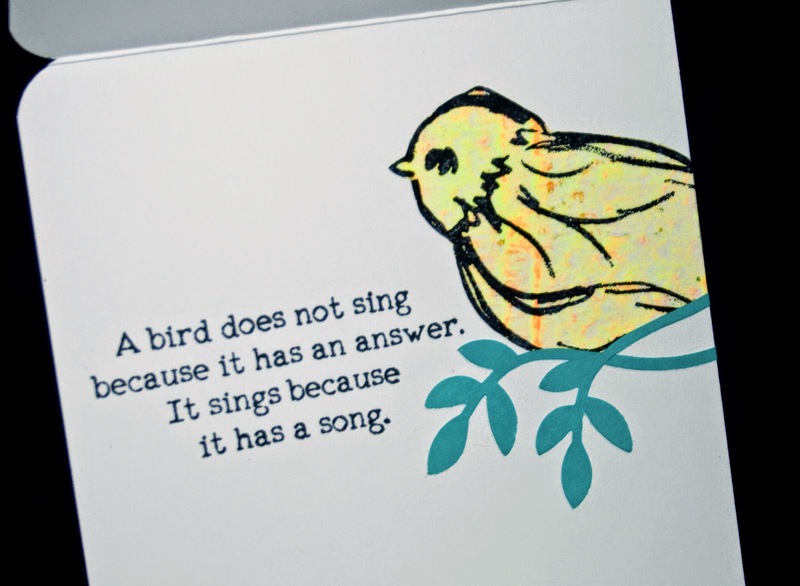 I hope you have a song in your heart today!